Architectural Theory aims to act of thinking, discussing, support the individual development of an approach to design by learning from history and others. It was originally simply the accepted translation of the Latin term ratiocinatio as used by Vitruvius, a Roman architect-engineer of the 1st century ad, to differentiate intellectual from practical knowledge in architectural education. 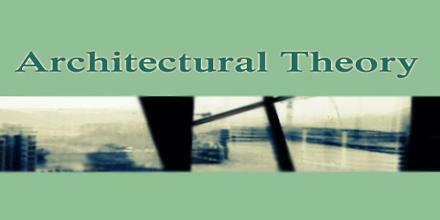 Architectural Theory is a framework that studies architectural phenomena using scientific logic and methods of experimentation.